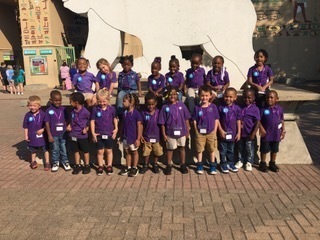 Ripley Primary School’s Pre-K classes have the opportunity to enjoy several field trips throughout the year. Each outing provides learning opportunities to expand the students’ background knowledge and interests. The first adventure was on September 21. 2018 to the Memphis Zoo. The students were able to enjoy their first ride on a school bus along with visiting all the animals the zoo had to offer. The students wore smiles the entire day. Pre-K’s next journey will be to the Rockin’ Dirt Road Pumpkin Patch in Dyersburg, TN. 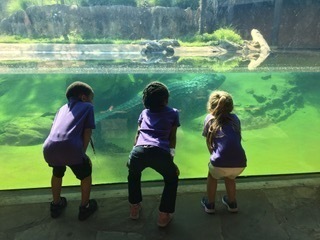 PreK teachers work diligently to enhance the learning environment with field trips and experiences that will enhance the skills being taught in the classroom. Students learn while having fun!